Commercial Stainless brings together state-of-the-art equipment and techniques in all areas of the design process, providing superior quality, lasting durability, and affordable customization for every client. 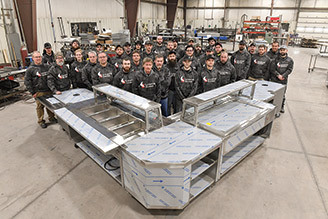 Our dedicated team of knowledgeable professionals draws from over 250 years of combined experience in the fabrication of stainless steel, millwork, and solid surface designs. 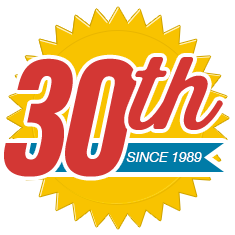 Commercial Stainless, Inc. is committed to excellence in the workplace and in the community. 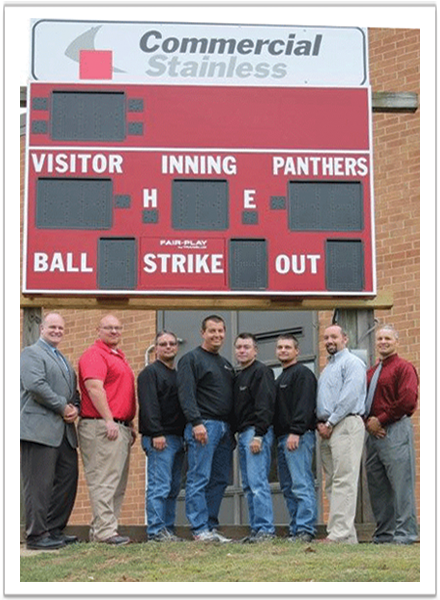 Employees and school administrators with a new score board sponsored by Commerical Stainless, Inc. at Bloomsburg High School.